Monday, September 2 (Labor Day) at Jennie Leavell's house, 415 E. High Street, Lexington, Kentucky. 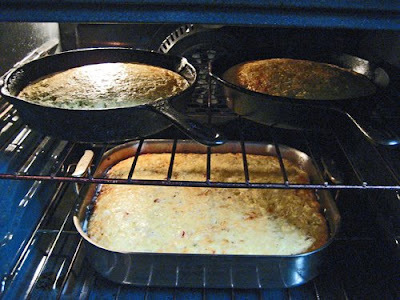 Monday, September 9 and afterward, Cornbread Suppers return to 250 Campsie Place. All Suppers start at 6 PM. Bring a dish, bottle, kids, good conversation topics, friends, neighbors, family, a listening ear, or just come. All are welcome. No RSVP needed.